The minute I think I have the back-to-school season mildly under control, BAM! I get hit over the head with a pumpkin. Don’t get me wrong; I love a holiday. In our house we decorate, we bake, and we absolutely get into the holiday spirit (heart-shaped cookies for lunches on Valentine’s Day? Check. First Day of Summer BBQ even if it’s still snowing? You bet. Football Sunday Family Room Tailgates? But of course). But Halloween always catches me off guard. From the reams of catalogs (Catalogs. Quaint, right?) 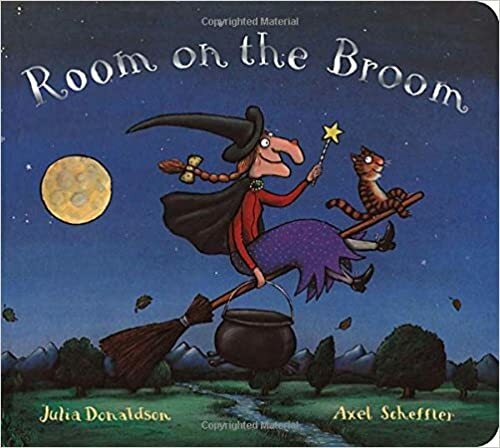 I receive touting costumes and dubious things like pumpkin sheets for my children’s beds, and the sudden infiltration of pumpkin everything everywhere I always feel like I’m behind the witches’ broom. I know Halloween is a big deal for kids, but is it is becoming a bigger holiday? A survey found that in 2015 Americans spent $6.9 billion on Halloween. That’s a whole lotta treats. All I have to do is drive down the street to confirm that people are getting into the Halloween spirit. Everyone around here seems to have rather elaborate decorations, from blow-up lawn ghosts the size of a house to talking witches that line a lantern-lit front walk. I tried to up my game one year with thoughtfully arranged bales of hay on our front step. That fall was rainy. And windy. Somehow the front of our house looked less like a Pottery Barn Kids cover shoot and more like the detritus of the Three Little Pigs blowing down the house made of straw. Don’t get me started on costumes. The second I think we’ve decided on something (and ordered it) I hear “No no no, I don’t want to be THAT. Now I want to be…” Somehow I end up with at least six costumes by Oct. 31. This year I was thrown off in a desperate online search for Star Wars character that to me sounded like Skylar the way my child was pronouncing it (my husband is rolling his eyes, but I will admit only seeing one, yes one, Star Wars movie). It turns out it was a villain named Kylo Ren. Which set me off, because what does it say if my four-year-old wants to be a bad guy? Is he showing some deep-seated social issues? (When asked: “The bad guys are more interesting characters, Mama.” Oh, never mind then. “Plus I can use Jedi powers to fight my brother.” Sigh.) Perhaps I’m the only parent who feels her parenting and the psychological wellness of her child will be judged on the basis of what they show up in for the Halloween parade. Costumes were so much easier when they couldn’t talk and I could stuff them into something adorable. Halloween takes a month-long commitment. From the hayrides, corn mazes, parties, pumpkin picking, pumpkin patch field trips, pumpkin carving, school parties, and Halloween parades (really can they just not have one school-wide parade? )—not to mention trick-or-treating—it’s a ramp-up that leaves me buried in candy wrappers on Nov. 1 with about a dozen pumpkins on our front step in various states of rot. 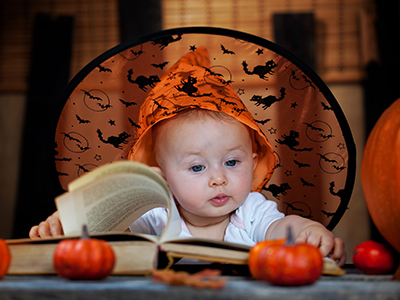 When I start looking at Halloween as a season instead of a one-day celebration I think about how to mark the occasion with my family, and of course I turn to books. Just as we start reading books about school in late August to get us ready for September, when Starbucks starts talking pumpkin spice lattes I break out my seasonal selection, too. 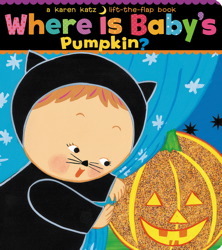 I must not be alone because the proliferation of Halloween books lately is somewhat astounding. It’s good in that there’s quite a selection, but bats-and-witches-and-pumpkins-oh-my there’s a harvest. Part of me worries I’m adding to the frenzy with a book build-up, but I’m betting that a book build-up is still better than a Hershey’s build-up. There has been a push in favor of less candy on Halloween, with some schools eliminating candy from parties and parents abandoning candy altogether. While I’m always in favor of healthier options, to me it’s like saying “Happy Birthday, here’s an apple instead of cake.” It’s a holiday; there are exceptions. There has also been a trend in trying to replace candy with books, which I think is great, but maybe not entirely realistic. 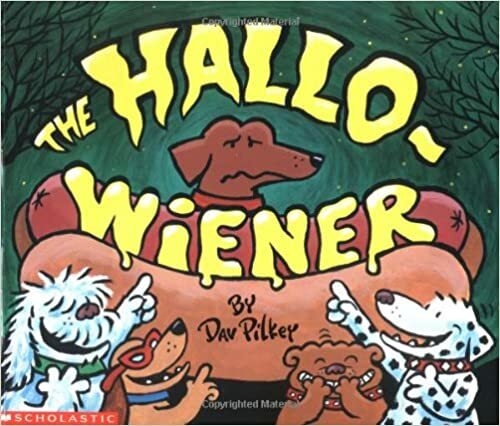 If you can hand out a book to each child instead of a candy bar I salute you, but in our neighborhood I’d need to unload the entire Simon & Schuster warehouse in order to do that. And let’s face it, candy is a lot more economical than books on a price per customer basis. I do love the campaigns for trade-ins run by dentists. You trade in candy for money or prizes and the dentists will donate the candy to troops overseas. Do a quick “Halloween candy trade in” search and local options will pop up. Some parents have their own “buy back” option; the child hands over the candy (or maybe it’s a hostile takeover?) in exchange for a non-candy item. Using books for this is a wonderful idea. But as much as my kids love books, there’s just not a chance in a bat’s cave they are forking over lollipops for a book. So we do the time-honored tradition of parents on Halloween: We eat it after they go to sleep. Whatever your approach, I’d like to welcome you to Halloween Season. We’ve been to the pumpkin patch three times already (and counting), we have pumpkins on our front step, and this year I am abandoning tasteful and am embarking on blinking Halloween pumpkin lights for the bushes outside. Because this year, I’m ready. I think. Or I thought. It turns out it’s really hard to find villain costumes in toddler sizes. 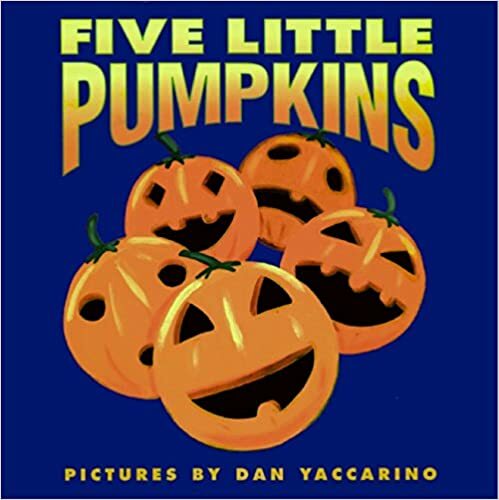 Come roll with the pumpkins and their friends as they get into some spirited fun!